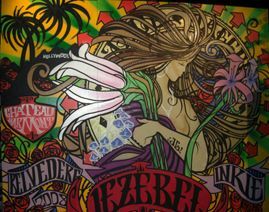 Recoat are proud to present a solo exhibition from infamous Bristol based artist, INKIE. He is one of the best known graffiti artists to emerge from the city, painting alongside the likes of 3D and Banksy. In 1989 he came 2nd in the World Street Art Championships. Later that year he was arrested as the head of 72 other writers in the UK's largest ever Graffiti bust. Since then he has come to be known as a pioneer of the artform and a shining light in the UK's street art scene, his iconic paintings exhibited all over the world. He draws inspiration from Mayan architecture, William Morris, Alfons Mucha and Islamic geometry. 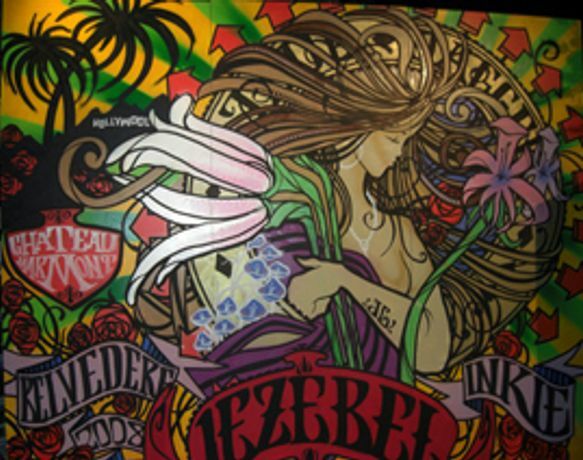 His art features in the books, Banky's Bristol, Children of the Can, Graffiti World, in magazines Graphotism and Dazed & Confused, the 2007 LA graffiti film Bomb It, and British/Brazilian street art documentary, Weapon of Choice. INKIE is creating a series of screen and giclee prints, drawings, paintings and creating a large mural in the space for the show. The show opens on 19th June, 7-10pm. It then runs till the 19th July Tuesday to Sunday.